Judy is originally from Osage Beach, Missouri and graduated high school at School of the Osage. Judy went on to graduate from the University of Central Missouri (formerly known as Central Missouri State University) with a Bachelor of Science in Education. She taught high school home economics in Tuscumbia at Miller County R-3 for 4 years before moving to Columbia in 1981. 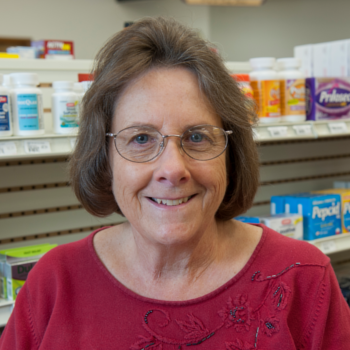 Judy started as a pharmacy technician and was eventually promoted to Office Manager. She has one daughter and two granddaughters. She enjoys spending time with family, watching her granddaughter's softball games, cooking, baking and sewing.